Purpose: Use this document to view purchase orders in ctcLink. The navigation above takes you to the Purchase Order Inquiry page. 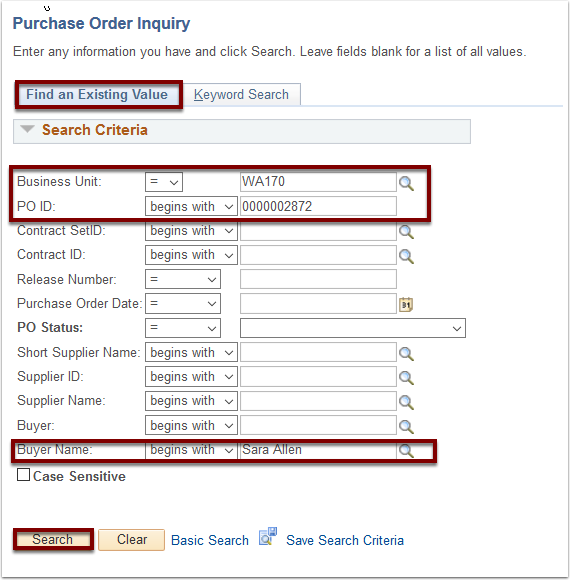 Because you are inquiring on an existing Purchase Order, you will default to Find an Existing Value tab. Enter Supplier Name or Buyer Name (if known). 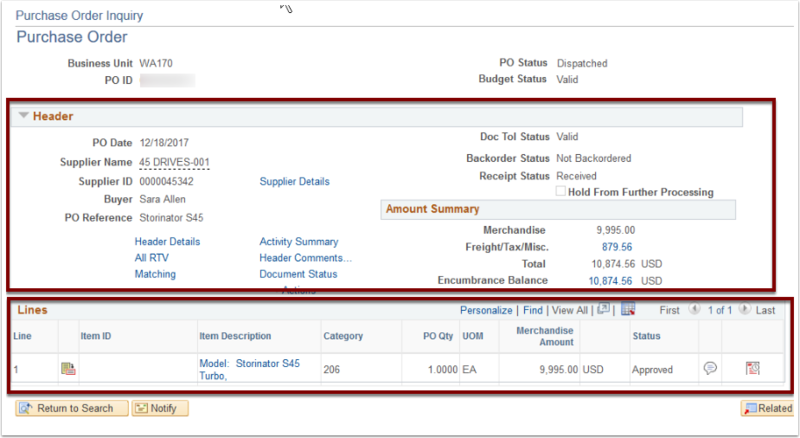 The Purchase Order Inquiry page appears with PO Header and PO Line information. Links are available to view detailed information like Header Details and Supplier Details, as well as Line Details and Schedule Details.